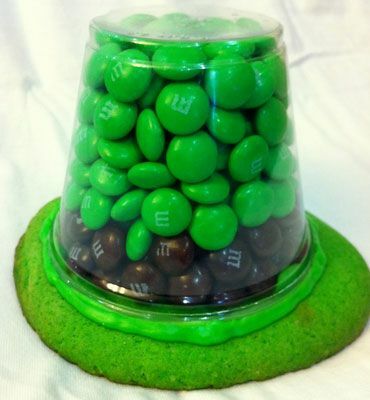 Teaching with Grace: Pinterest Fail to St. Patty's Day AWESOME! Wow oh wow! What a crazy day! 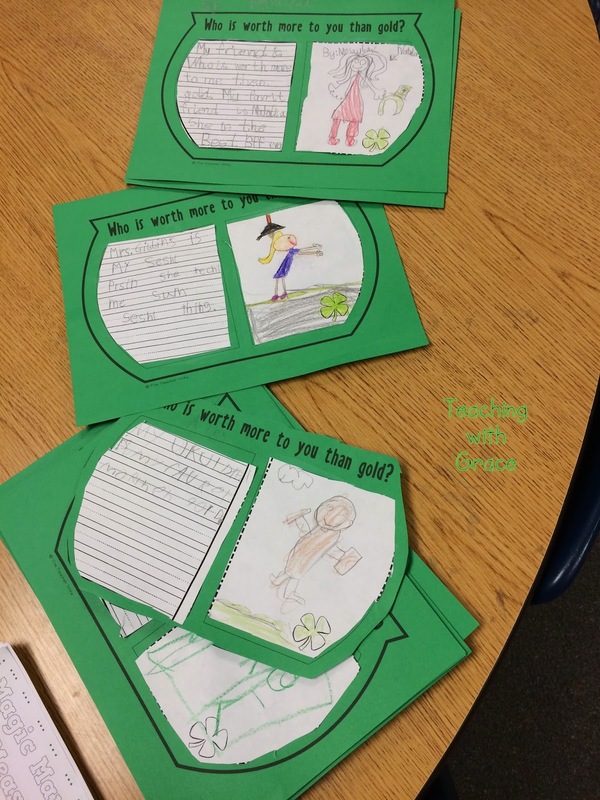 Did y'all have a wonderful time with your little leprechauns? I sure did! I tried to keep the day as normal as possible! 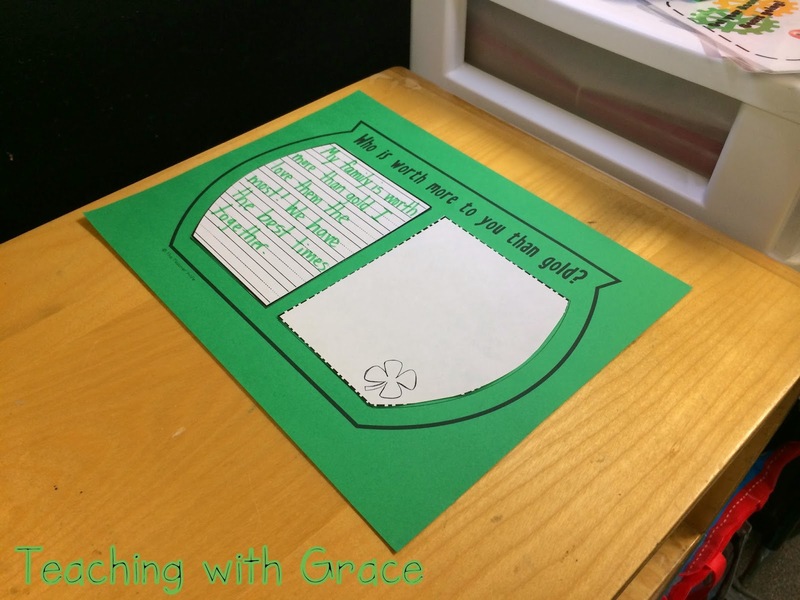 After our leprechauns snuck in while we were at lunch... we did this wonderful writing prompt. They turned out so, so cute! How cute right?!?!?! I even found the perfect 'tiny' cups to make them. I thought I was doing great buying 3 bags of M&M's so that I would have enough. Then I got home.... HA! 3 bags is a joke.. you will ALWAYS be short the two colors you need. 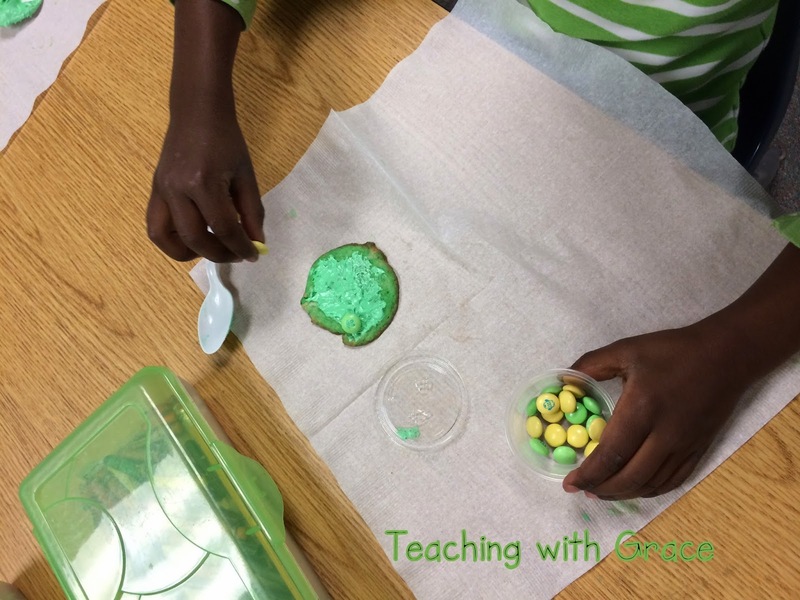 What to do... let the leprechauns leave a 'decorate yourself' treat! The kids had a blast with decorating theirs! 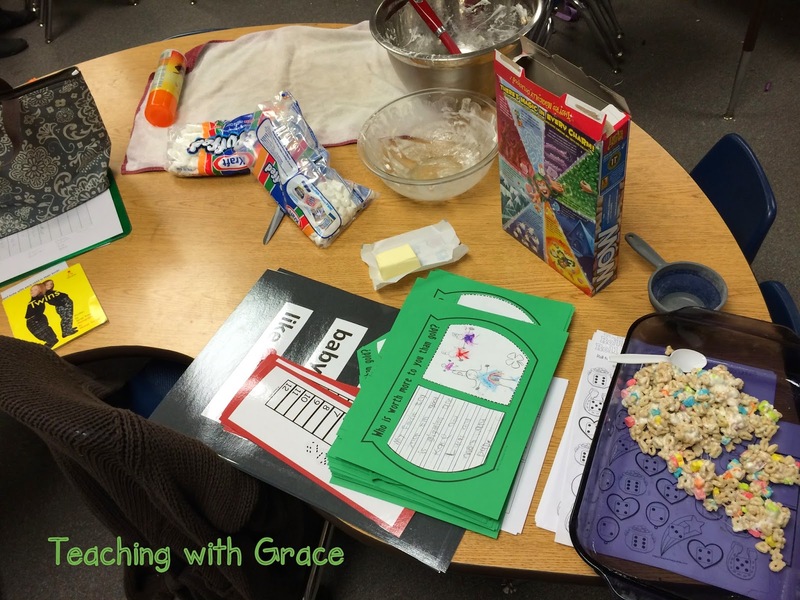 Remember my 'real classroom' link up last year? Yeah.. here's my table at the end of the day. Yikes! To make the night easier, I had my home made marinara in the crock pot. It was SO nice to come in and just cook the noodles. 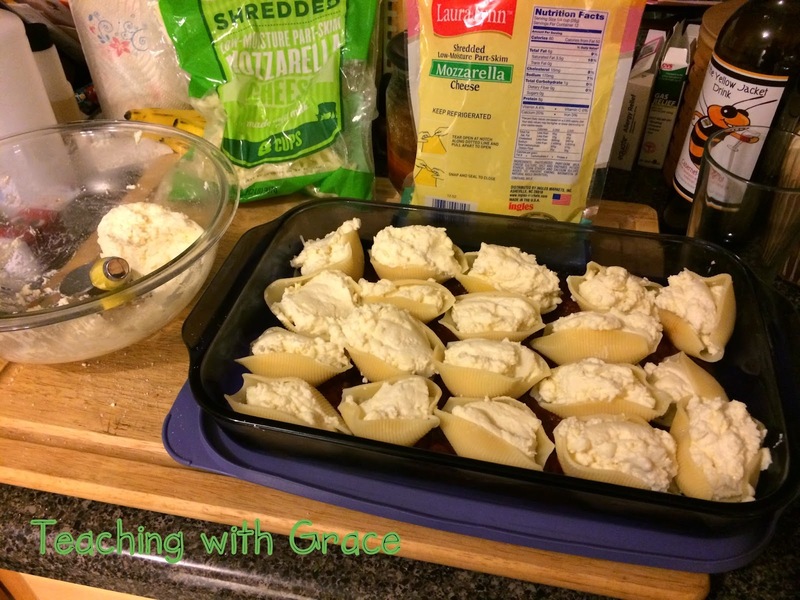 It always makes a ton so to use it wisely, I decided to make stuffed shells for the rest of the week. Yummy!